Video : A Pot of Cacti at TAWS! Love love love getting more from my stamps and today I do a little surgery because I wanted a pot and cacti and I was going to have it! This card was made for The Alley Way Stamps and you can see it and heaps more inspiration over at their blog. Hope you had some fun today! Other Supplies: The Alley Way Stamps – Cha Cha Cha. Prismacolor Pencils – Pink, Process Red. Copics – E25,53,97. G40,99. YG00,03,93. BV20. BG72. 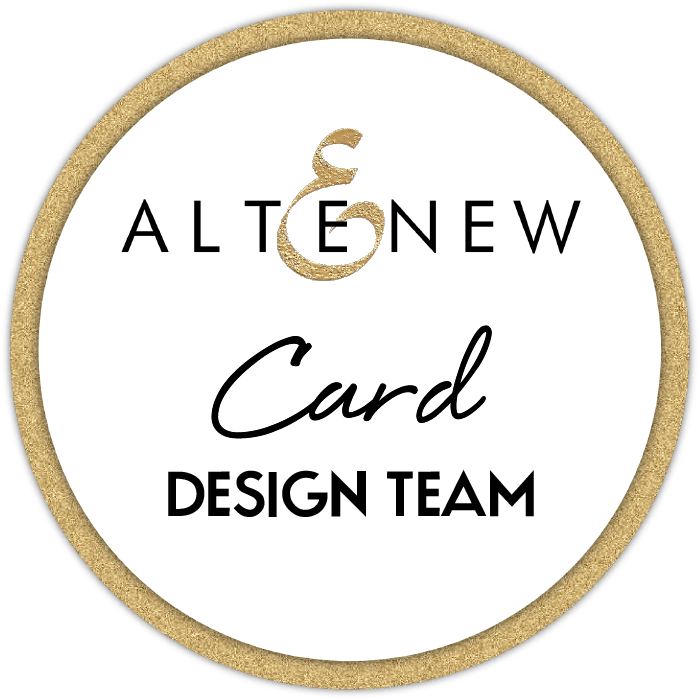 < Previous Video : Celebrating Altenew’s 1st Video Challenge! Next > Video : Ranger Dye Inks / Neenah / MFTs and Penny Black at Scrapbook Boutique! LOVE LOVE LOVE how you used the stamps! So clever! Omg, so cute! Love that you turned a dress into a plant! Nifty trick with the stamp press, too!!! 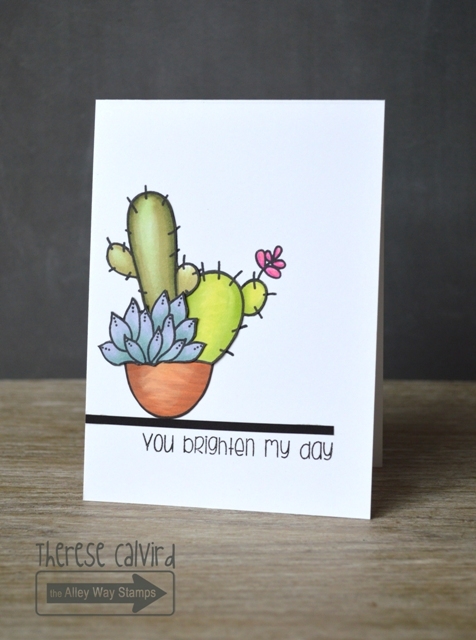 Very nice card and loved the stamping of the cacti. Awesome! Love how you used the stamps to make a pretty pot of cacti. Love the card! Great tip on how you used your Fiskars press to achieve the needles on the cacti. Thank you! I love the clever way you created your own ‘plant pot’ for your Cacti! Beautiful Copic coloring, too! You are so clever. Glad to see you got your potted cacti. Wonderful card. eep! I just love it! Therese you make that look so simple. Just eyeballing. I used the Misti and still ended up crooked. Love how you just used a bit of this and a bit of that and bang it all came together. Brilliant card. Just watched your video on this card with Inari. She was so disappointed that you used only the skirt from fairy.. I thought it was such a cool way to stretch your stamps!! Thanks for the video! I had so much fun watching you transform those images into the bowl, succulent, and flower! I bet the TAWS artist got a kick out of this too! Way to see a succulent in a fairy skirt, Therese. That’s thinking outside the box.